I came out of the shower this morning to be greeted with this sight. I can’t really pretend I mind though.. 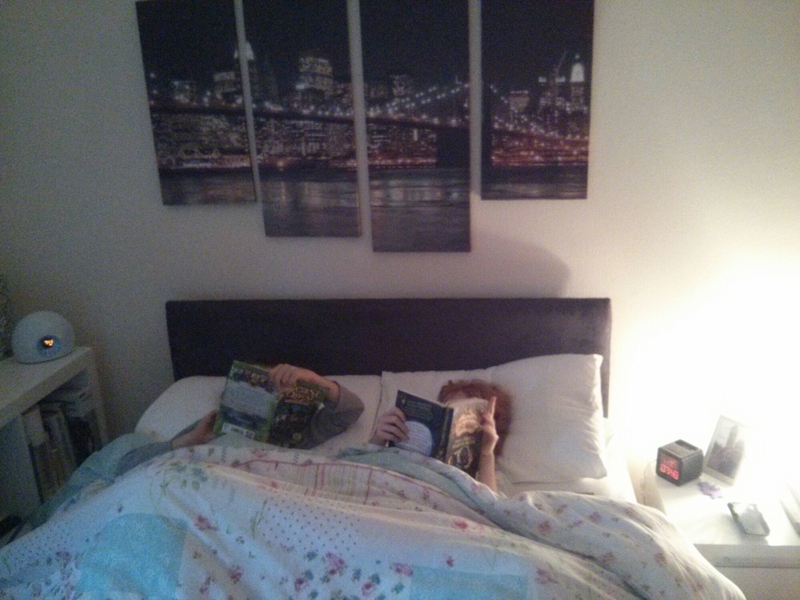 Both children absorbed in their books, snuggled up in my bed. Just wish I could have got in with my book, instead of having to go to work.